Together we raised more than £3000 + sent off over 80 boxes for Operation Christmas Child. 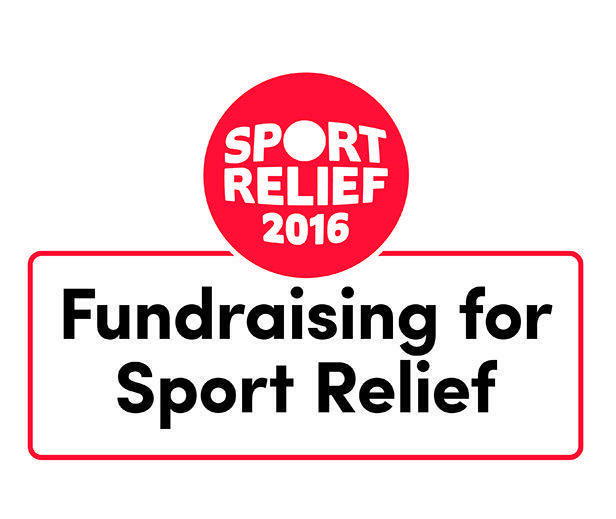 The children at Cliftonville Primary School have again raised over £500 for Sport Relief. 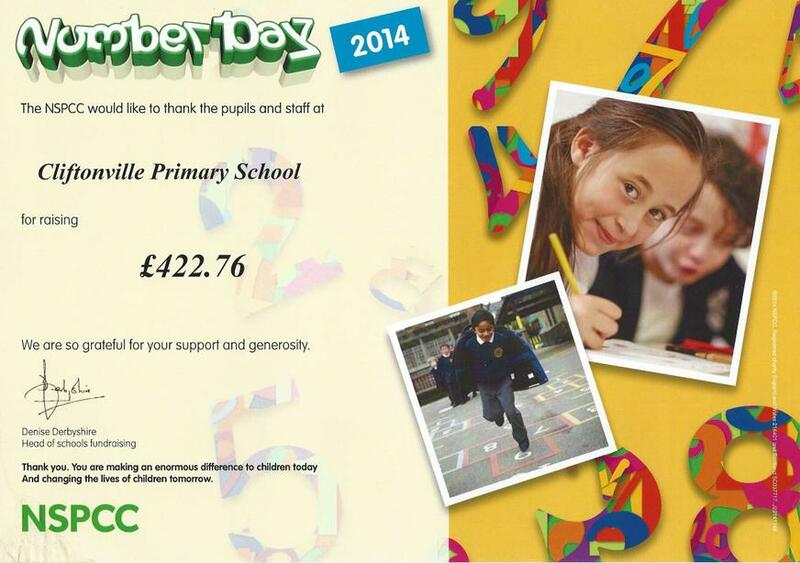 This brings our school charity fundraising to over £2300 since September. The school council led a range of different activities for the whole week that included a skipathon, hula-hoop challenge, treasure hunt, hook a duck, cake sale and dress like a sporting champion. 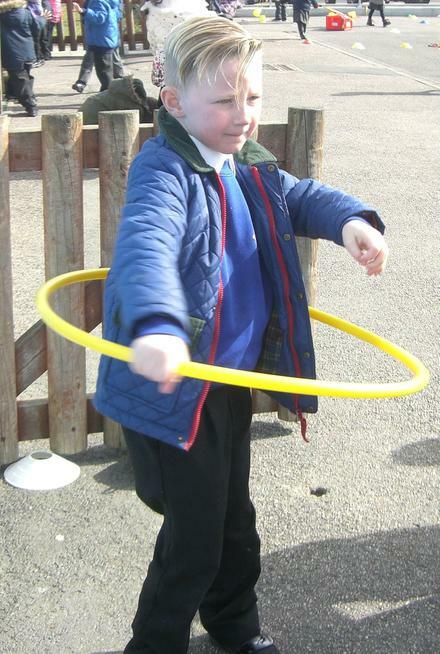 The children have really got involved and have enjoyed leading on all the activities. 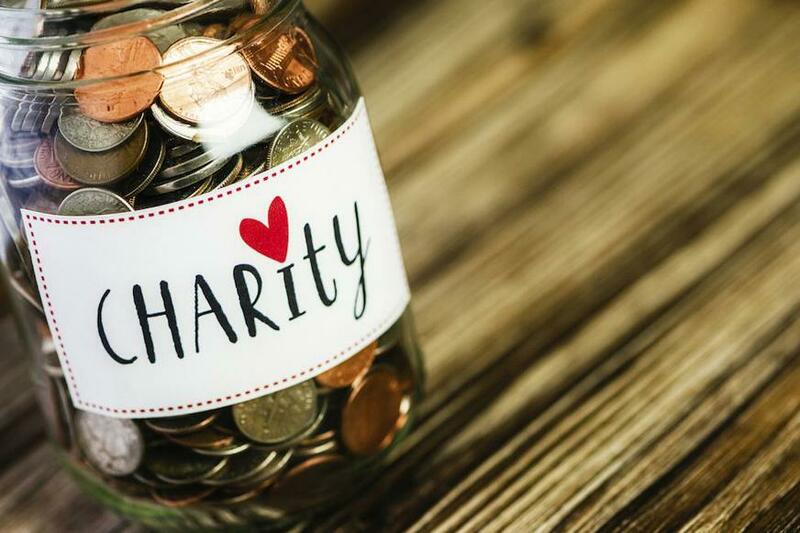 Thank you to all the staff and parents who supported the children in raising the money for charity, but most importantly, thank you to all the children who have all been very generous and have participated in the activities for such a wonderful cause. Sport Relief assembly- why are we doing it? 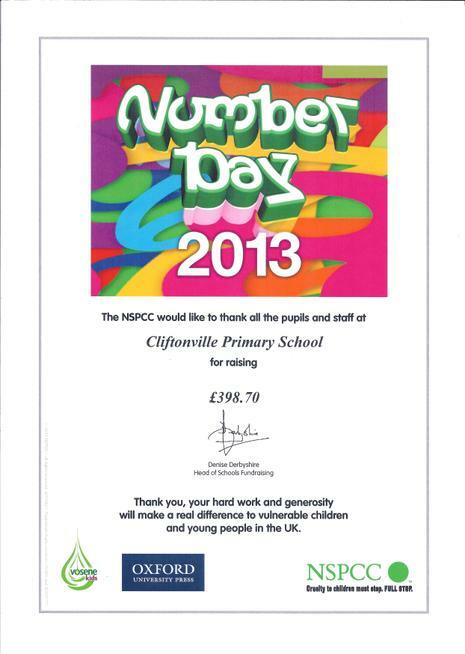 Thank you to everyone who supported the NSPCC 'Number Day' fundraising. We have sent an amazing £488.80 to the charity. Thank you to all the families who came along to support the staff pantomime! Great fun was had by all and together we raised over £350 to send to an amazing charity, held dear by the school, CRY (Cardiac Risk in the Young). Thanks to the amazing generosity of families and with the campaign drive of the School Council, over eighty boxes were filled with Christmas gifts including toys, hair brushes, toiletries etc. Thank you to every family able to contribute this year. 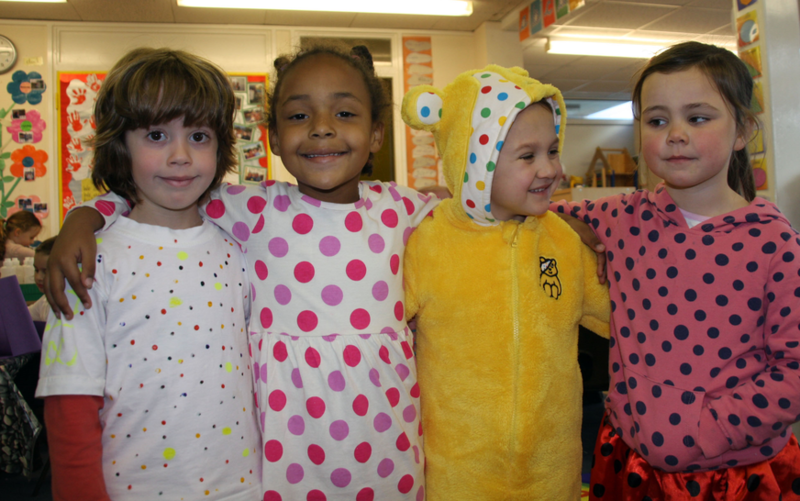 Thank you for the amazing support for Children in Need. We raised an incredible £922.28 through various fund-raising activities, mainly organised and run by the pupils. 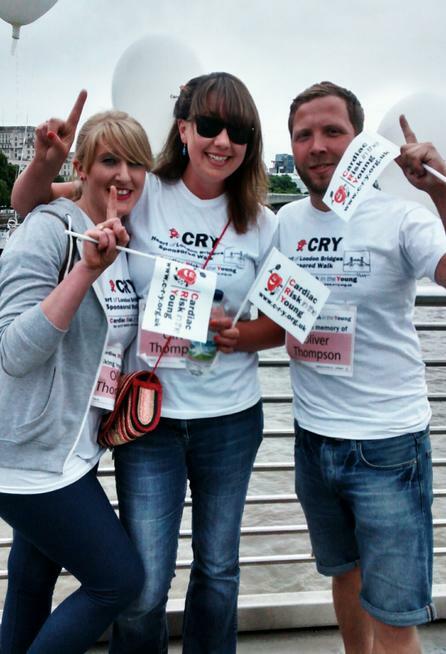 Staff and former colleagues of Oliver Thompson will be taking part in the 9th annual CRY Heart of London Bridges Walk on 28th June 2015 . This event offers the opportunity to show support for CRY, raise awareness of young sudden cardiac death and raise funds in memory or in support of a young person. In 2014, over 1,100 people took part in the Walk, including a team from Cliftonville Primary School, helping to raise over £46,000. If you would like to support this excellent charity, please make a donation via the school office. 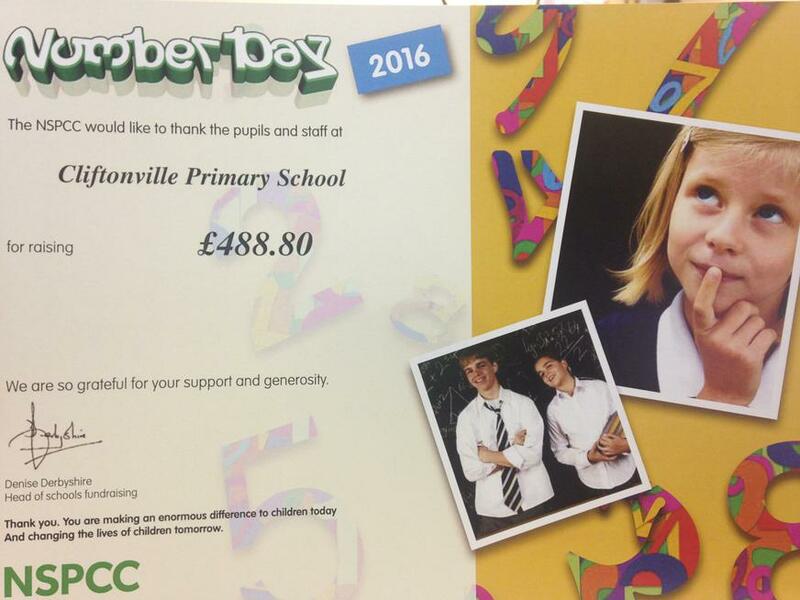 We were thrilled to send a cheque for £138.40 to Macmillan Cancer Support this term following fundraising. 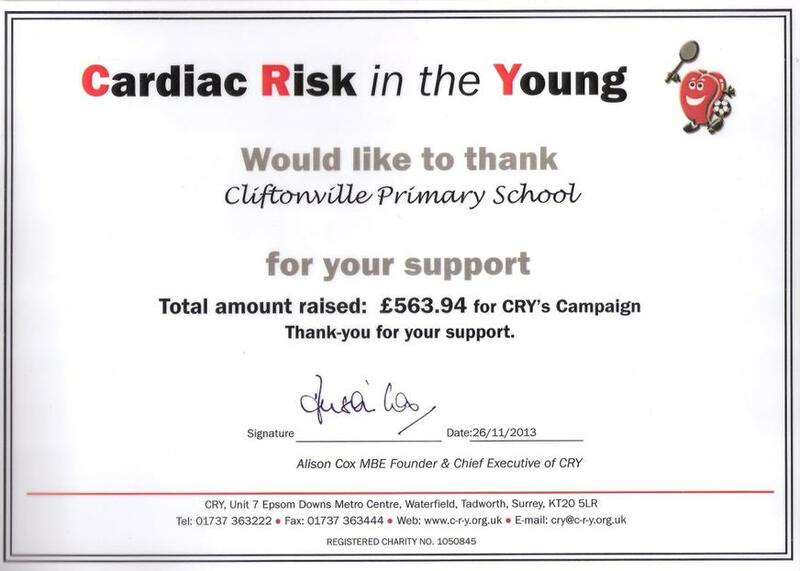 We can also confirm that we raised £252.25 for Cardiac Risk in the Young (CRY) from the panto etc in Term 2. Thank you as ever for your amazing support! We were thrilled to learn that our school has been invited to attend the 'We Day' at Wembley Arena in March. This is due to our school's commitment, led by the School Council, to undertake both global and local projects to make a change to people's lives. 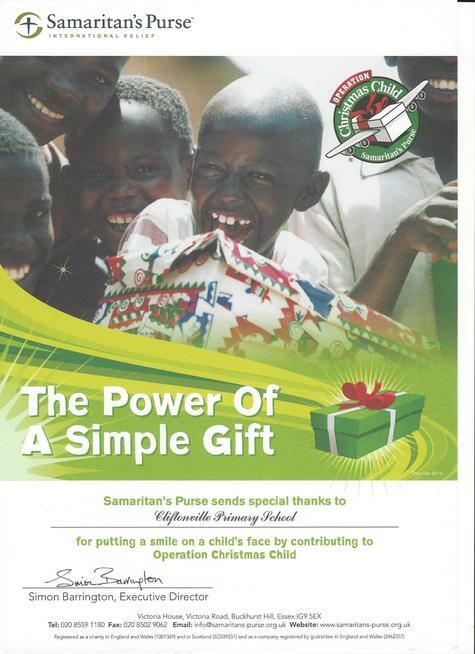 Our invite recognises the positive impact of all the amazing work of the School Council including leading Operation Christmas Child, our Green Travel Project and charity fundraising. 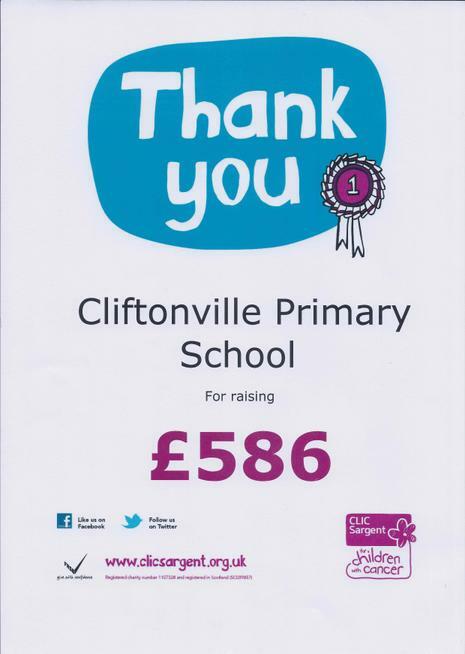 This is a remarkable achievement for primary aged children which reflects Cliftonville School's vision to build a generation of active citizens who recognise their rights and responsibilities in their local and wider communities. Congratulations to every member of the school community - this is an award for you all! Our amazing staff team came together again this year to perform Aladdin for the children and two evening performances for parents and friends. The hour-long pantomime was written by one of our talented staff members, Year 5 teacher Mr David Briggs. Money raised from ticket sales will be given to CRY, the charity working to reduce cardiac risk in the young, in memory of Oliver Thompson. 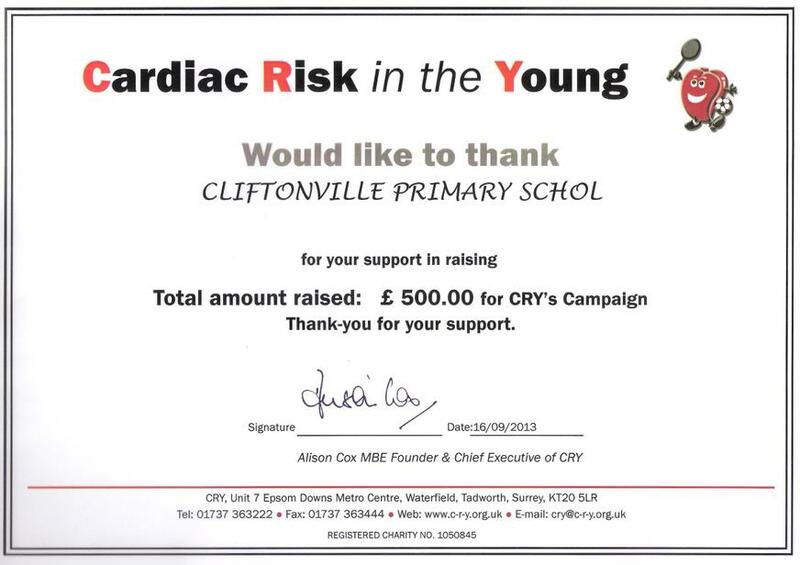 When Cliftonville Primary School teaching assistant Ollie Thompson died suddenly colleagues vowed to work with his family to support the Cardiac Risk in the Young (CRY) charity. 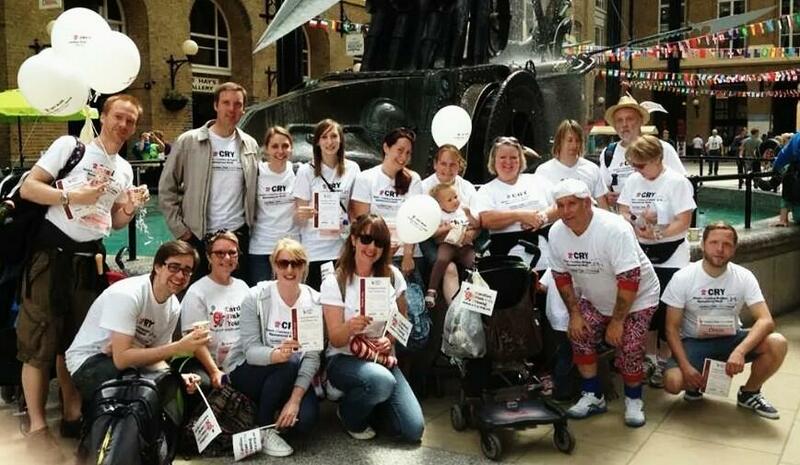 A variety of fund raising events in memory of the 29 year old have included the CRY Heart of London Bridges Walk, sponsored events, a festive panto, and non-uniform days. Funds raised so far include £3,500 which enabled which enabled a cardiac screening day to be held at the school for 100 people free. It was conducted by medical professionals headed by Consultant Cardiologist Rajay Narain. The fully-booked screening saw young people aged between 14-35 (CRY’s target age range) discuss their health history including any heriditary heart conditions in their families with the team before having a simple Electrocardiogram (ECG), which looks at the electrical conduction pathways around the heart. In some cases it may be followed by an Echocardiogram ultrasound test that looks at the structure of the heart. Specialist advice is then given, although CRY stress that although the majority of screenings are clear, around one in 300 screenings requiring further investigation. Fund raising continues at the school with a production of Aladdin at the school on December 17 and 18. We were delighted to have had such amazing support from our families for this great charity. We sent off fifty-six boxes for children who would not get presents this Christmas. Thank you to our School Council for their excellent promotion of this charity. 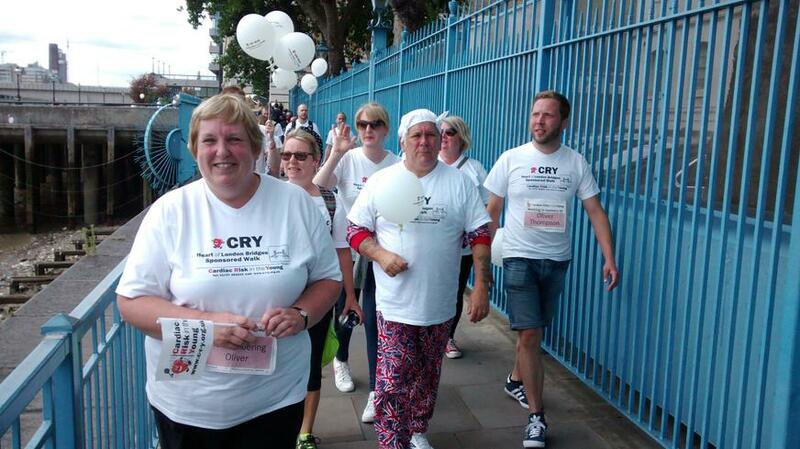 Team Awesome made up of staff from our school, both present and past, took part in the CRY Heart of London Bridges Walk 2014 raising money for Cardiac Risk in the Young. 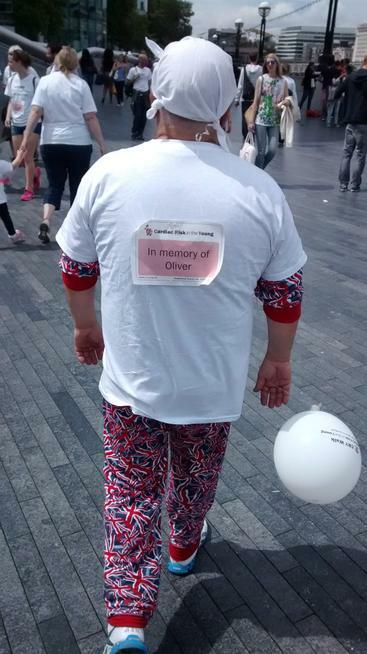 They took part in the five mile walk through London in memory of their friend and colleague Oliver Thompson, who passed away suddenly a year ago at the age of 29. Oliver was a teaching assistant at Cliftonville School. They were joined by Oliver’s family as around 1200 CRY supporters crossed seven of the Thames bridges from Embankment to Tower Bridge. Cardiac Risk in the Young aims to provide heart screening programmes which can help identify heart conditions that may otherwise go unnoticed and they also support families who have suffered bereavement. Team Awesome have also staged the Wizard of Oz panto and other fundraising events at the school to raise money for the charity. 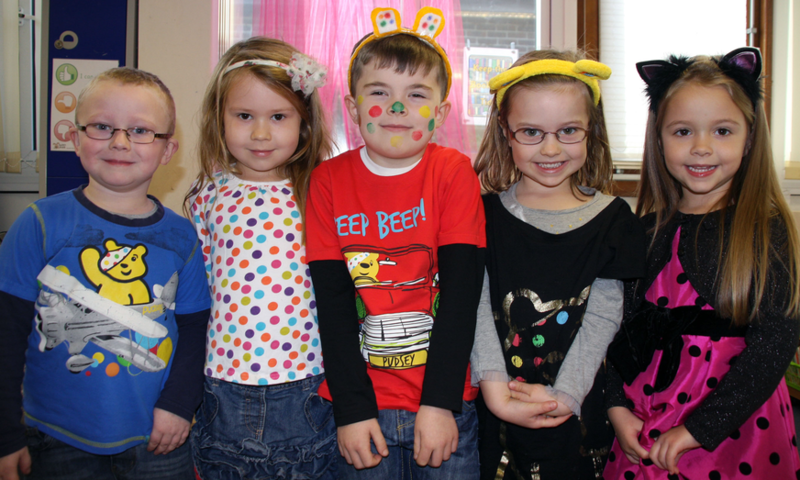 Cliftonville children and parents have had an amazing week raising money for Sport Relief. 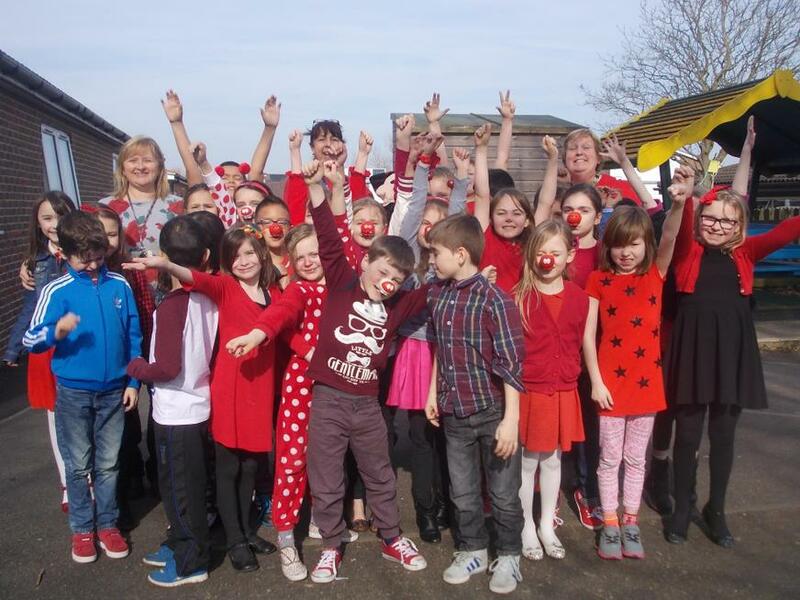 Every child in the school has played their part in raising over £500 through participating in a week long programme of fundraising activities. These have included creating our Sport Relief 'coin art' mural, whole school dance- thon, sport relief relay mile, Bake off and the 'Be a sportsperson for the day'. Mr Briggs looked great as Steve Davies, the snooker player, and Mr Clayson dusted off his cricket whites to be 'Bossingham's best fast bowler, ever'!! 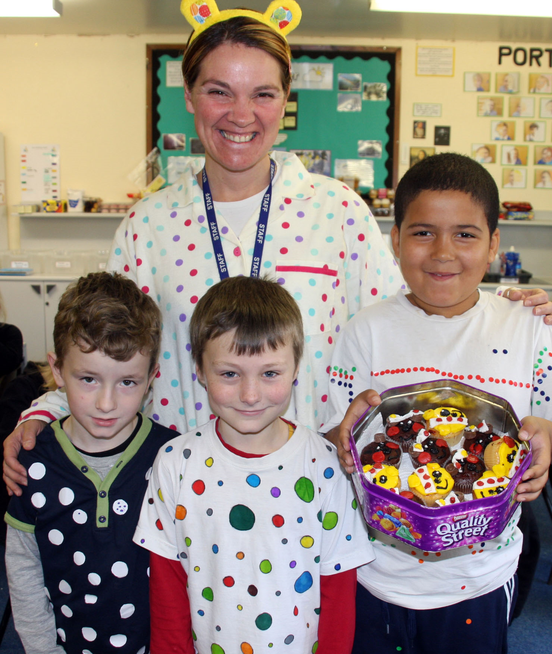 All children participated in the coin art and the dance-athon; over two hundred children took part in the Sport Relief mile; there were over thirty entrants to the Bake Off competition- winners to be announced! All these activities were developed and run with the School Council who were amazing. They organised and led the events ensuring that everything went smoothly. Well done to all. Finally, I would like to say a big thank you to all the parents who have helped their children this week whether by baking a cake or making fantastic costumes. Thank you to everyone who supported our non-school uniform and 'buy a heart' day on the 14th February. Together, we raised an incredible £480.53 for the CRY charity. January 2014: A determined Cliftonville Primary School pupil is one of the top five per cent of fundraisers on the Justgiving charity site for 2013 We are so proud of Lily's amazing effort to support others.